Toothaches often cause irritating and sometimes intense pain. Many people initially assume that their pain will require at least one visit to a dentist, and there is usually a suspicion that a cavity of some kind will be to blame. In truth, several different causes could be to blame for a person’s tooth pain. 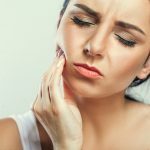 Whatever the cause of a toothache might be, it is vital to quickly determine how and why the pain is occurring so you can take the proper steps to avoid any worsening of the pain or other possible issues. Gum Recession— People who apply too much pressure while brushing risk wearing away their tooth structure as well as the gums covering the root of the tooth. A dentist may be able to place a gum graft on an affected area, but one of the most effective ways to avoid this problem is to use a high-quality electronic toothbrush. Gum Infection— Bacterial infections are incredibly common. The Centers for Disease Control and Prevention (CDC) reported that almost half of adults 30 years of age or older suffer from some form of periodontitis, a gum disease that can lead to tooth loss. Tooth Trauma— A tooth can suffer trauma in any number of possible incidents, including more obvious causes such as being involved in a car accident or slip and fall accident. Other possible causes of trauma can be much more subtle, including chewing on a certain kind of food. Sinus Infection— The roots of some teeth are right by the sinuses, so what might feel like a toothache could be a sinus infection. Such cases are usually relieved through decongestants or antibiotics rather than dental treatment. Grinding Teeth— Many people unknowingly grind their teeth in their sleep at night. This most frequently results in severe headaches and is usually caused by stress, but a dentist can help fit you with a mouth guard to prevent nighttime grinding. Recent Fillings or Drillings— People who have recently had any fillings or drillings done may experience some sensitivity to specific temperatures or when attempting to chew hard objects. Cracked Tooth— In some cases, the actual tooth may be cracked. While a crack may be visible with some front teeth, they are often tricky to personally diagnose in rear teeth. Wisdom Teeth— Impacted wisdom teeth, or the wisdom teeth that have not broken the gum line, may cause pain by pressing up against other teeth. Tooth Decay— Pain is a common result of tooth decay becoming severe enough to affect the inner layer of the tooth. Tooth decay will frequently lead to cavities. Abscessed Tooth— A tooth abscess develops as the result of advanced tooth decay, often affecting the roots. Professional dental care is usually required in these cases. When you experience any kind of tooth pain, you should not hesitate to make a dental care appointment. Leaving pain untreated can have many severe long-term consequences. Babylon Dental Care provides quality dental care for clients of all ages. If you are experiencing a toothache, be sure to schedule a visit with our caring and compassionate team today. Call (631) 983-6665 or contact us online to book your appointment now.